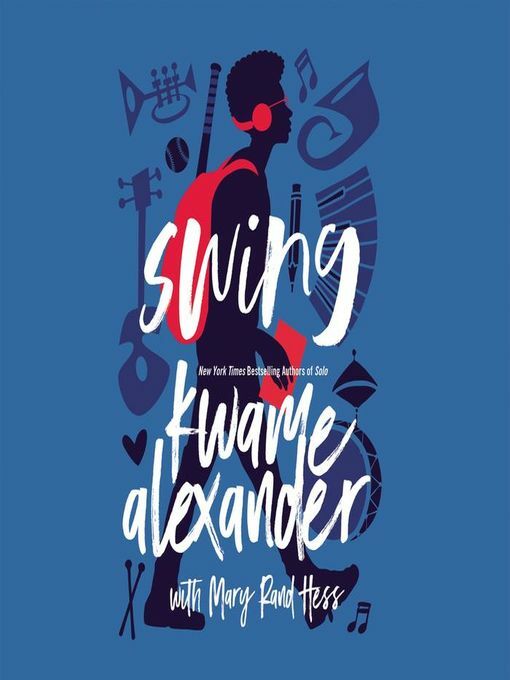 This audio edition of Swing by New York Times bestselling author Kwame Alexander and Mary Rand Hess (Solo) combines Kwame Alexander's narration with jazz music flourishes to tell a lyrical story about hope, courage, and love that will speak to anyone who's struggled to find their voice. And the surprise ending shines a spotlight on the issues related to our current social divide, challenging perspectives and inspiring everyone to make their voice heard. When America is not so beautiful, or right, or just, it can be hard to know what to do. Best friends Walt and Noah decide to use their voices to grow more good in the world, but first they've got to find cool. Walt is convinced junior year is their year, and he has a plan to help them woo the girls of their dreams and become amazing athletes. Never mind that he and Noah failed to make the high school baseball team yet again, and Noah's love interest since third grade, Sam, has him firmly in the friend zone. 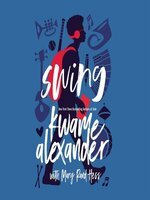 Noah soon finds himself navigating the worlds of jazz, batting cages, the strange advice of Walt's Dairy Queen-employed cousin, as well as Walt's "Hug Life" mentality. Status quo seems inevitable until Noah stumbles on a stash of old love letters. Each page contains the words he's always wanted to say to Sam, and he begins secretly creating artwork using the lines that speak his heart. But when his private artwork becomes public, Noah has a decision to make: continue his life in the dugout and possibly lose the girl forever, or take a swing and finally speak out? At the same time, numerous American flags are being left around town. While some think it's a harmless prank and others see it as a form of peaceful protest, Noah can't shake the feeling something bigger is happening to his community. Especially after he witnesses events that hint divides and prejudices run deeper than he realized.